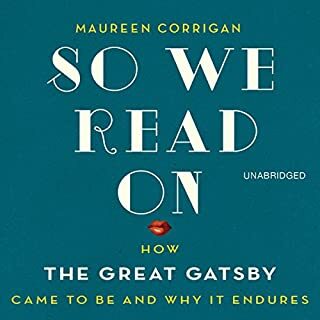 This is one of those books where I can't decide if it's really bad or really good, but just having finished it, I'm leaning towards the latter. 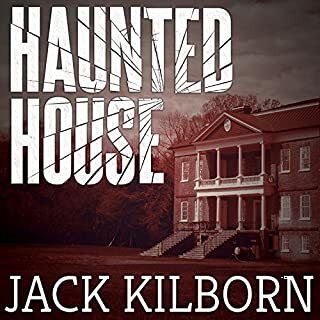 The book starts out as pretty generic haunted house fare, following in the footsteps of Shirley Jackson and Richard Matheson, albeit with a modern flair. But I was in the mood for a traditional haunted house yarn, and this fit the bill. But about three-quarters in, the book went a little topsy-turvy, and that's when it got really fun. Yes, it's a little schlocky, but what's wrong with that? If you like haunted house horror and aren't too squeamish, this book's worth your time. It's clear from reading Coyote America that Dan Flores is the real deal. He has a deep abiding passion for these animals, and he tells their stories in a way that preserves some of their magic. I also really appreciated that the subtitle is true to its word--he devotes some serious time to exploring the coyote's mythical role in Native American culture. 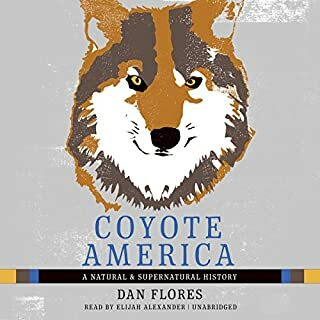 I'd love to listen to this book while taking a road trip up through New Mexico and Colorado, which is where a good bit of the action in this book takes place, although I was amazed to learn that coyotes have spread as far as New York City, the Deep South, and the Yukon. Amazing stuff. 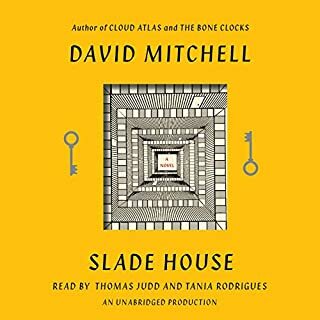 I was recently on the hunt for a decent "haunted house" novel, and stumbled across Slade House by David Mitchell. While I'd not read any Mitchell, I had seen Cloud Atlas, and his reputation as a writer precedes him, so I decided to give it a try. The story unfolds through multiple points of view, and all these viewpoint characters are well-realized, though not always likable. To me, horror books in general and haunted house books in particular live or die (ha ha) on their atmosphere, and Slade House delivers gooseflesh-inducing atmosphere in spades. There's a repetitive structure to the book that gradually clues the reader in on what's going on, and ironically the more you know about what's going on the tenser it gets. All this holds true until the last chapter, which I'm sorry to say is a bit of a mess. I will say, without spoiling anything, that it does provide closure--mostly. I say "mostly" because, unbeknownst to me when I bought this book, it's actually connected to Mitchell's other novel Bone Clocks, which I'd heard of but never read. And so, I think, maybe, the ending to this novel really only satisfies if you've also read that companion piece. Still, if you like haunted house horror, it's still a worthwhile read. The horror is mostly suspenseful and atmospheric in nature, and doesn't devolve into the gore-fest of other novels in the genre. So I'd feel pretty safe in recommending this even to squeamish friends. Both Thomas Judd and Tania Rodrigues also shine as narrators here, and there were a few nice subtle production touches too. In summary, the book mostly scratched my horror itch, but didn't quite hit the mark at the end. This is a thorough, thoughtful, though by no means unbiased study of a topic that defies easy definition. 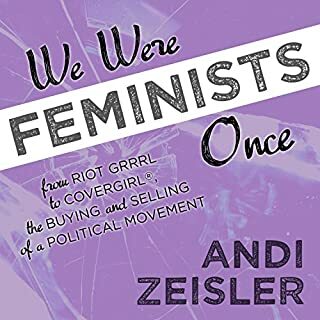 While I might have minor quibbles with Zeisler on very minor points, I agree with her premise that "marketplace feminismL is detrimental to the cause it purports to advance. Moreover, I think this theme can be seen in other contemporary movements. 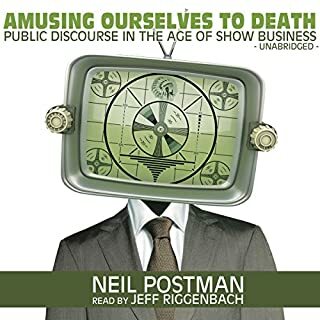 I concur with other reviewers frustrated by this audiobook's narration. The density of mispronunciation a is kind of staggering. To be fair though, it's not entirely poor Joell A. Jacob's fault. The other members of the production team bear some responsibility too. And mispronunciation a aside, Jacob's performance is actually pretty easy on the ears, and matches the lively buoyant tone of Zeisler's prose. This is the first book-length study of feminism I've read, but it certainly won't be the last. We're all in this together. 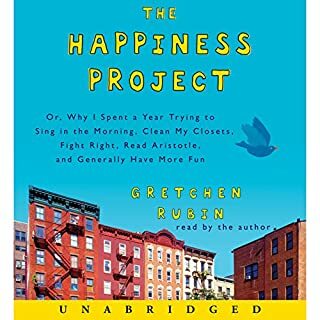 As Rubin prefaces her book, happiness looks different for all of us. So not every chapter of this book will be directly relevant to you or your life. Still, the principles of growth, mindfulness, and accountability outlined herein will make everyone happier. 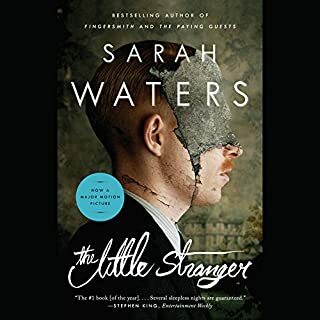 If you enjoy either period pieces or haunted house tales, you will likely enjoy "The Little Stranger." Waters takes a long time setting the scene, though, and to me this setup only partly pays off. America is suffering from an information glut. Most Americans are no longer clear about what news is worth remembering or how any of it connects to anything else. Thus, Americans are rapidly becoming the least knowledgeable people in the industrial world. 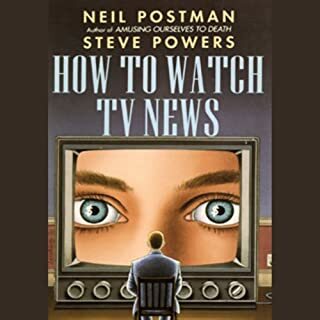 Author and academic Neil Postman and television journalist Steve Powers tell you how to become a discerning viewer. It must be remembered that this book is almost 30 years old, so it's inevitable that some of its arguments no longer quite work. But in most ways they do. Moreover, they often apply to our current internet generation as well. 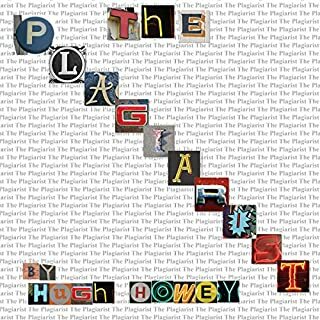 While the concept isn't wholly original, The Plagiarist is so well-executed and well-told that you don't really care. If you loved Snow Crash, and/or you like thinking about books and their provenance, you'll probably enjoy this little nugget of a novella.